Russians are more reliable allies than Americans! 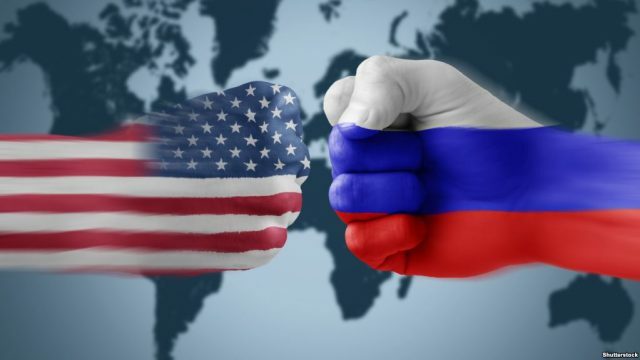 There was a time from 1945-91, when the World was divided into two blocs, one bloc was of United States (US) – Western Bloc, and the other was of Soviet Union (USSR) – Eastern Bloc. Both blocs had their own allies worldwide, and they fought a long Cold War. At the end of Cold War, Soviet Union was dissolved (1991), and Russia emerged on the map of World with reduced territory of USSR. After that, US’s hegemony took off and ruled the unipolar world as a sole super power for almost more than two decades. Amid this uni polarity, China and Russia started rising gradually as world powers and a multipolar world was orchestrated along with the hegemony of US. Now during recent years, Russia has arisen militarily and economically and it has achieved the status of ‘Resurgent Super Power’. Now, Russia is again active globally in making and protecting Its allies. If a detailed historic review of attitudes of Russians and Americans towards their allies is made, then a wide gulf between their ‘rules of engagement’ is clearly visible. US’s policy towards allies is summarized in the following statement of its former Secretary of State Henry Kissinger, 1970s, “We have no eternal allies, and we have no perpetual enemies. Our interests are eternal and perpetual.” And history proved that US always did same what Kissinger once said. On the contrary, Russians cared for their allies more as compared with their American counterparts. US always utilized its allies to maximum and after using them, left them alone at their own fate. Allies are dispensable for US just like foot soldiers in battlefields. US always cared for its own interests only, and not for its allies. While Russia cared for its own interests as well as those of its allies. Russians proved to be more loyal towards their allies. In cold war era, Pakistan was an ally to US and India was an ally to USSR. While India was at Wars with Pakistan in 1965 and 1971, arms embargo was imposed on Pakistan by US while Soviet Union was continuously supplying weaponry to India. US was of opinion that Pakistan should never deploy American weapons against India. During Soviet Invasion of Afghanistan, 1979-1989, US removed arms embargo from Pakistan and supplied high-tech weapons to halt Soviets’ march towards warm waters of Arabian Sea but after the war, Pakistan fell a victim to the ire of US. They left Pakistan and Afghanistan at their own fate and cancelled already signed agreements with Pakistan regarding weapons delivery, especially those agreements related to the provision of F-16 fighter aircrafts and their spare parts. While Russia continued to provide latest weapons, particularly fighter jets to India even in its bad days. It is to be noted that Russia never put arms embargo against India while Pakistan suffered arms embargo by US many times– many years. Whenever US needed Pakistan, It lifted arms embargo, but it never allowed officially Pakistan to use American weaponry against India in any low intensity conflict or in full scale wars. US always tried to restrict Pakistan to use US provided inventory for containment of communist expansion. During War on Terror (WoT), started in 2001, Pakistan was given status of front-line ally of US, but Americans never paid heed to Pakistan’s concerns about growing role of its arch-rival India in Afghanistan. With rising Indian influence, a hike in terrorist activities in Pakistan, particularly Baluchistan province, was observed clearly but Americans and Afghans always stoked the gravity of situation by sidestepping Pakistan’s grievances. Besides Pakistan, US’s role at other fronts towards their allies was quite similar. If we put a glance on ongoing Syrian War, we see Turkey as an ally to US. Turkey, even, downed a Russian warplane in 2015. But on the other side, Turkey had to apologize Russia for downing that warplane when US did not support well Turkey after the incident. Similarly, US went against the interests of Turkey in arming Syrian Kurdish Fighters alongside the border of Turkey. These Kurdish fighters who are battling the Islamic State jihadists in Syria are regarded by the United States as its most reliable partners there. But to Turkey, a NATO ally of the United States, these Kurds are terrorists. The Kurdish group, known as the People’s Protection Units, or Y.P.G., is now facing an escalating battle with Turkish forces in northwestern Syria, complicating American policy. The group has deep ties to the Kurdistan Workers’ Party, also known as the P.K.K. Both Turkey and the United States consider the P.K.K. to be a terrorist organization for its violent separatist movement inside Turkey. On the other side, Russia jumped into Syria’s War in 2015, and till then it remained a staunch backer of Syrian President Bashar al-Assad, even when he was overwhelmed by ire and criticism for alleged use of chemical weapons against rebels, civilians and children. Russian mercenaries have also paid a death toll in hundreds. Russian fight and die by themselves in wars but American role is mainly focused on “train and advice” missions. US mostly rely on aerial bombardments. With these a few narrations from history, it becomes crystal clear that Americans care only for their own interests while Russians care more for interests of their allies, even sometimes jeopardizing human rights.